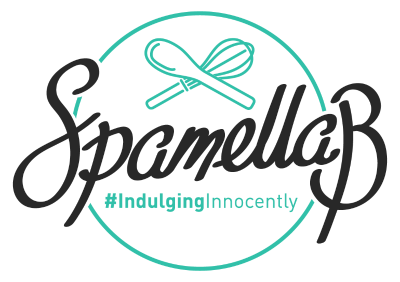 [A note from Sophie] So it has been a long time coming, but SpamellaB and I have finally got round to a recipe swap for each other’s blogs. I must admit, at first – I was a little stumped, as I have no food allergies or intolerances to consider whatsoever. I pretty much eat what I want, when I want, so when it came to ideas for a GF option I had to think a little longer than usual! In the end, I came up with this. 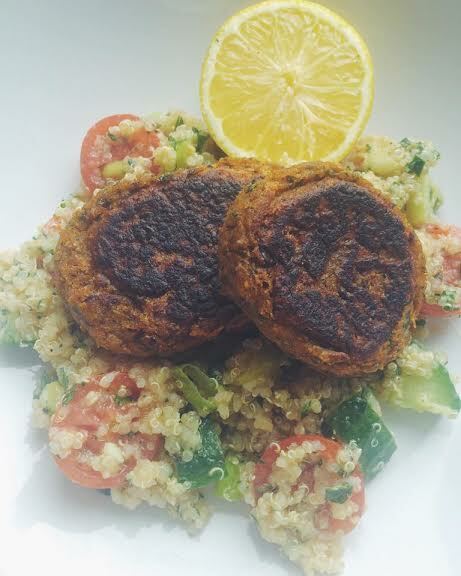 A healthy spiced falafel, seasonal as it’s packed with fresh greens and GF as it uses ground gluten-free oats instead of plain flour. It’s served up alongside a zesty, fresh take on the classic tabbouleh (usually made with couscous or bulgur wheat) – using the mighty quinoa instead, a great GF option! I really hope you enjoy! Cook the quinoa as per packet instructions (for 120g quinoa I add the quinoa, a pinch of salt and 360ml cold water to a medium sauce pan, and bring to the boil. Then reduce heat to a simmer and cover with a lid for approx. 15 minutes until quinoa is tender). Once cooked, remove from heat and let stand, still covered, for 5 minutes. Fluff with a fork and set aside. Meanwhile, whisk lemon juice and garlic in a small bowl, and gradually add the olive oil. Season the dressing to taste with salt and black pepper. 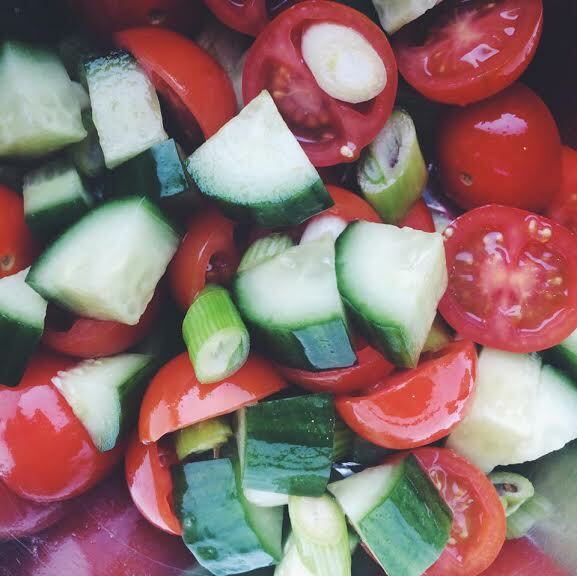 Add the cucumber, tomatoes, spring onions, parsley and mint to a bowl with the quinoa and mix together to combine. Pour over the dressing and mix well, season to taste with salt and black pepper as desired. This will keep in an airtight container in the fridge for a day or so. 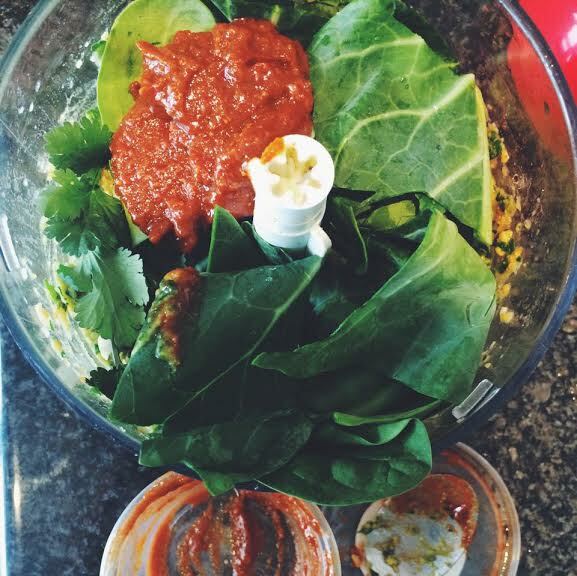 If you need it to last a little longer, leave the dressing separate until ready to serve! Once combined, work the mixture (using wet hands helps) into 8 oval-shaped patties. Heat the oil in a large heavy-based frying pan over a medium to medium-high heat. 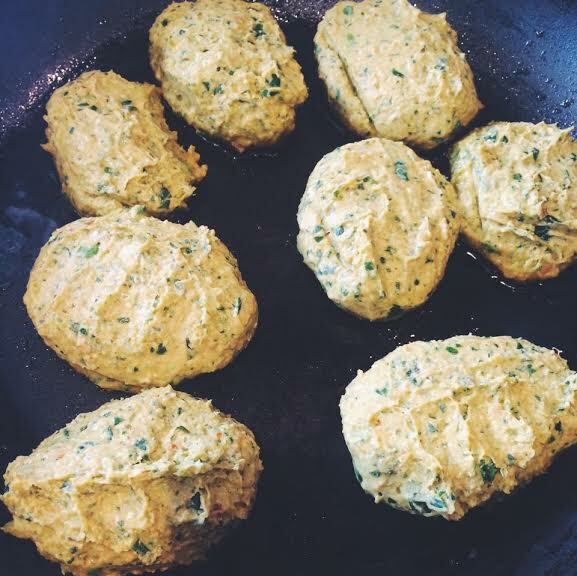 Add the falafel to the pan (cook in batches if you only have a small pan) and cook for 3-4 minutes on each side – if you think they are browning too quickly, reduce the heat slightly. 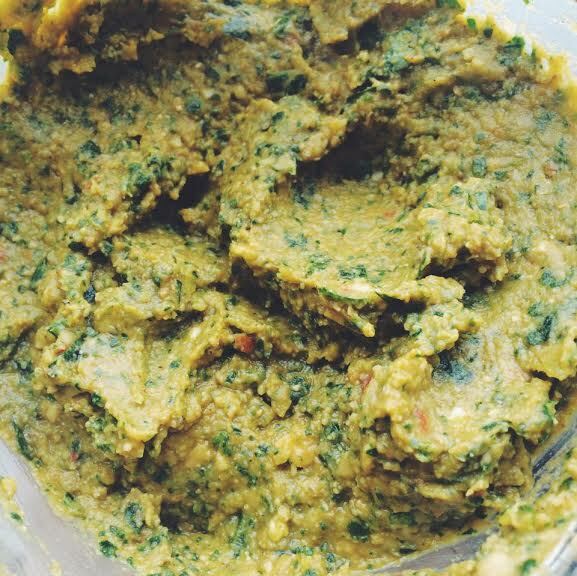 Once golden and slightly charred on each side, serve immediately alongside the Tabbouleh made earlier! 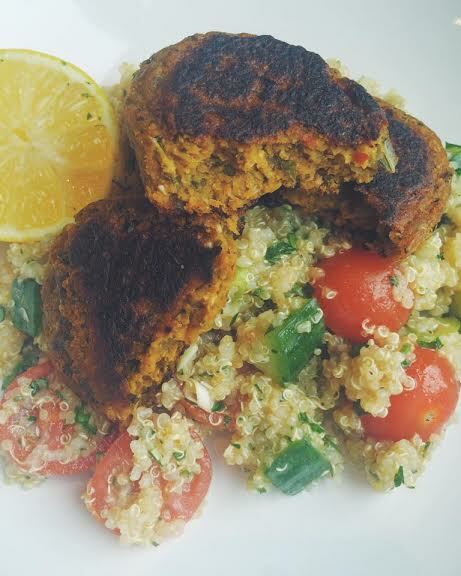 These falafel will keep in the fridge in an airtight container for up to 3 days, and can also be frozen. Thanks so much Sophie, it’s been a pleasure! 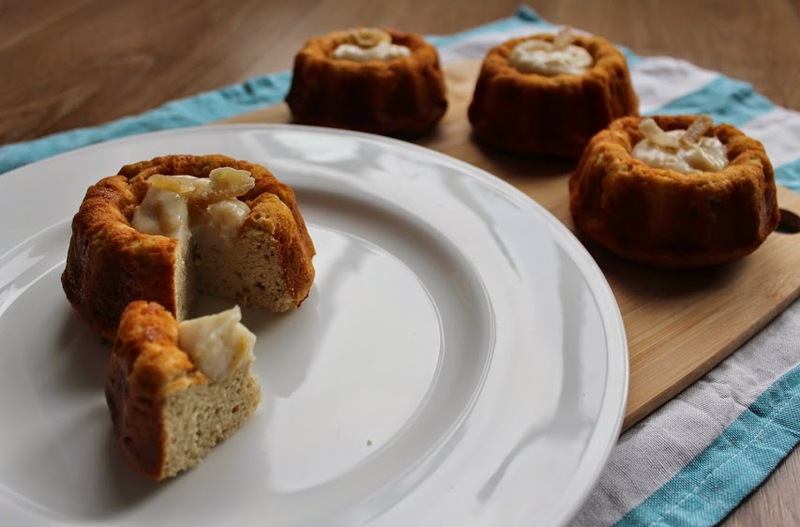 You can check out my guest recipe I did my fellow foodie blogger over here: Guilt-free Ginger Cakes with Lemon Cream, yum! In the meantime, make sure you follow Sophie over on Facebook, Twitter and Instagram for more mouth watering photos and recipe posts!